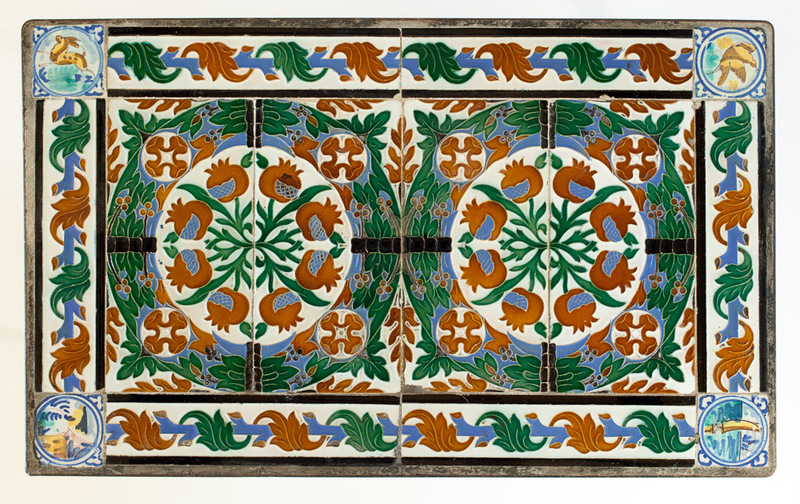 This cuenca tile, most likely made in the 1920s, is another great example of Spanish ceramic arts. 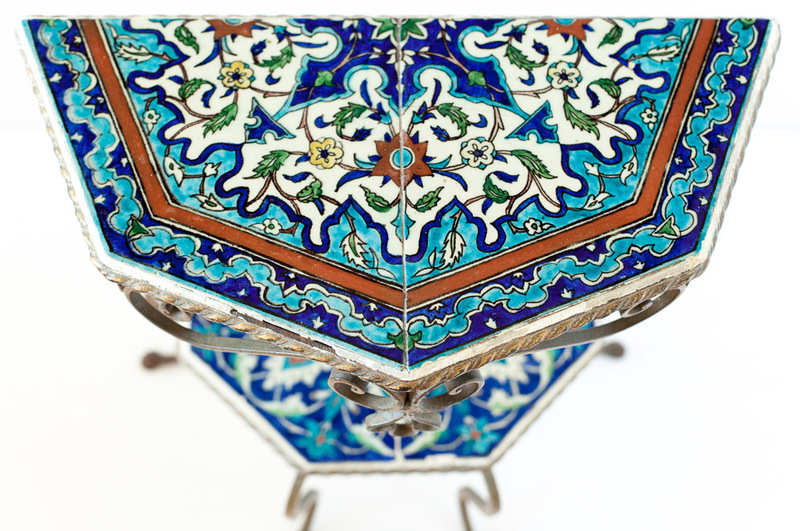 It has a complex Moorish floral design perfectly executed in bright, saturated glazes. 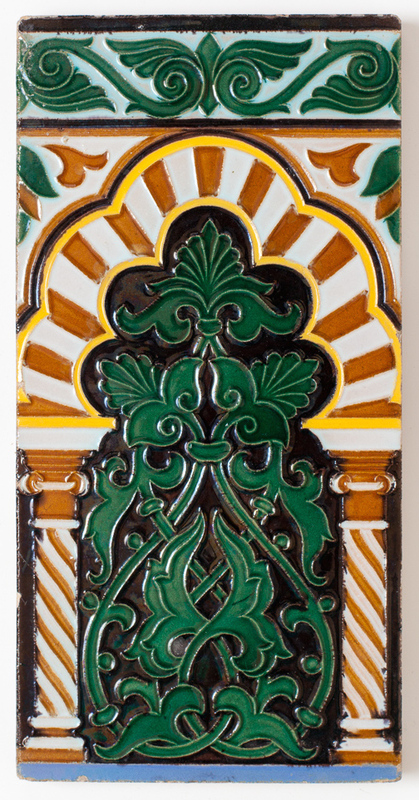 The tile is marked on the back: it was made by Casa Gonzáles in Seville. Unlike some other tile factories in Seville that have survived for over a century (e.g. Mensaque Rodriguez), Casa Gonzáles is no longer in business. Fortunately, there is some information about it online (in Spanish). Casa Gonzáles (also known as Gonzáles Hermanos) started in 1902 as a family business manufacturing construction materials. A 1917 magazine ad states: "Brothers González. Sevilla, mosaic factory (pavements), building materials, sanitary wares, artistic locksmith workshops, plumbing and heating." The firm also employed a number of potters and ceramic artists who created beautiful ceramic altarpieces. This is a new acquisition and by far the favorite modern tile in my collection. 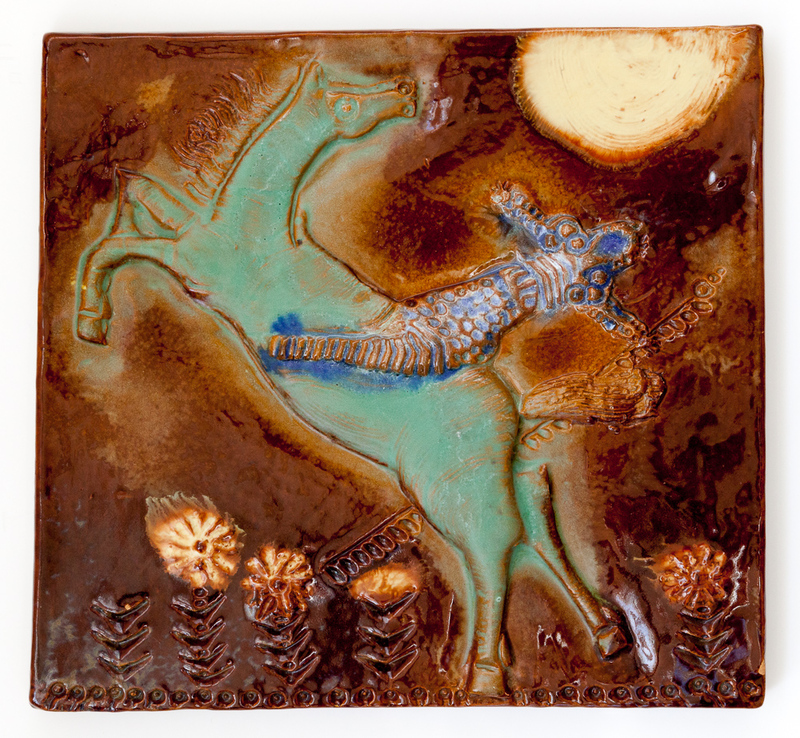 It's a hand-made wall plaque depicting a green horse and a blue rider under a bright moon (or is it sun?). The expressive design is full of details and is hand-carved into the tile. The background brown glaze is very glossy and shiny but the green on the horse is vellum, and so are some of the blues. It's quite large and has a rim that gives it more depth. The back of the tile is glazed with the same brown glossy glaze.